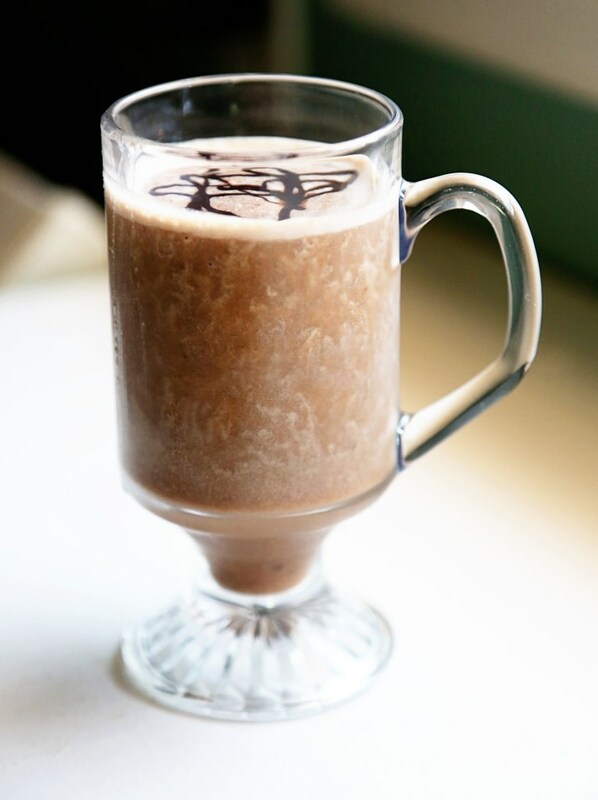 Coffee, frozen banana, toasted almonds, milk and a squeeze of chocolate sauce. How can you go wrong with that?! This is an extremely simple, delicious and relatively low sugar pick-me-up for your hot summer afternoon! I saw a recipe similar on Serious Eats and had to try my own version! The only sweetness comes from the banana and a tablespoon of honey – not too shabby for something that seems pretty indulgent! It was absolutely perfect for that mid-afternoon I-gotta-have-something-sweet attack that happens to me every day. Enjoy and change up the ingredients as you like! In a blender, add the coffee, milk, almonds and banana and blend for about 30 seconds. Then add the ice and blend for 30 seconds to a minute more. Drizzle with chocolate sauce (or not – it’s up to you, but I had some in my pantry and, well, it was awesome) and serve! 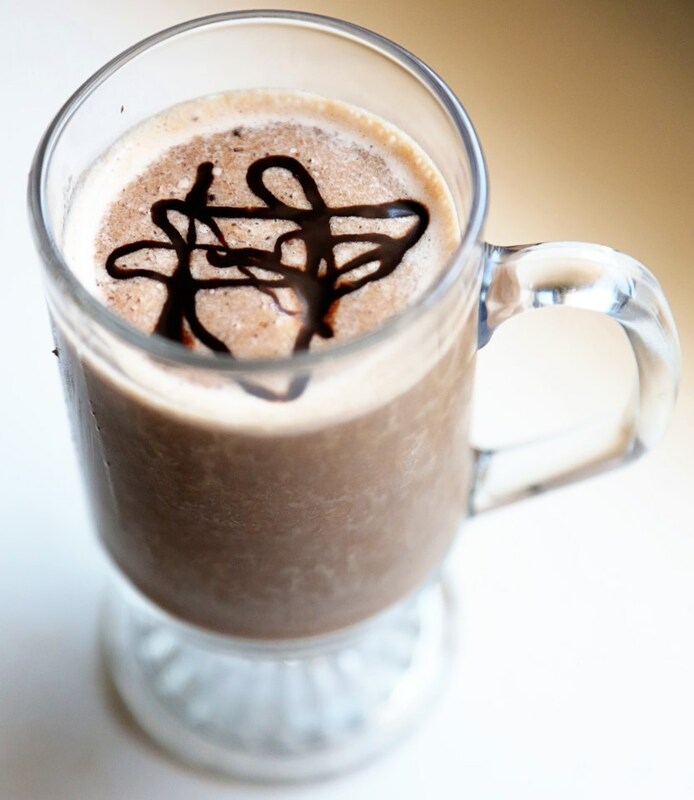 This entry was posted in Cravings, Desserts, Snacks and tagged blended ice drink, breakfast shake, cold desserts, desserts, healthy desserts, iced coffee, icy, shake, summertime desserts. Bookmark the permalink.